An Invitation to help develop a Community Hospice Chaplaincy Team – from the teams at the Hospice and at the Crooked Spire You will have noticed that Ashgate Hospice has been developing and publicising its Community Care service, and we have been in conversation about how we can ensure that local religious communities are enabled to offer chaplaincy services to those who are receiving terminal care at home. The aim is to develop a group of individuals with the necessary skills, who can be the first point of contact for anyone who requests spiritual care. The Crooked Spire will act as a central contact place which patients or families can call or email to request a chaplaincy visit at home from their preferred faith or denomination. All religious communities in the town are welcome to be represented on this group. Where communities do not have members or ministers experienced or trained in terminal care, or new volunteers feel called to this particular ministry, training will be offered, so that there is some assurance that those visiting have appropriate skills in this area. 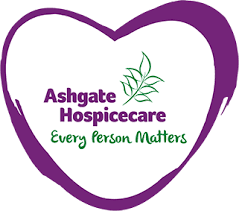 In the same way, as representatives will be working with vulnerable adults, the Hospice team will wish to have evidence that suitable Safeguarding checks (DBS clearances, &c) have been carried out by their own religious groups. The Hospice Chaplains will be contacting the inter-faith group directly; members of CTfC should offer names to Patrick Coleman (vicar@crookedspire.org - 01246 206406) in the first instance. The hope is that this initiative will enable and support all our faith groups in our ministry to those who are preparing for the most decisive event in their lives. Many thanks, and we look forward to working together!